A. In my opinion, no. I don't recommend it. Enzyme supplements may be able to help people with difficulty tolerating lactose, fructose or oligosaccharides, but you won't know if you are one of them if you are taking digestive enzymes during the elimination phase of the diet. During the elimination phase, enzyme supplements may not do enough to lower the load of FODMAPs for you to experience the full benefit of the diet, if you are still consuming lactose, fructose or oligosaccharides and expecting the enzymes to take care of it. What are digestive enzymes and what do they have to do with FODMAPs? 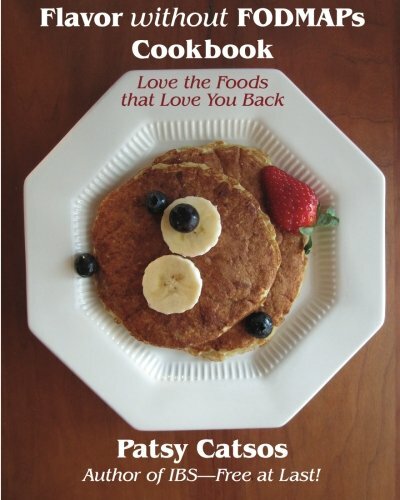 FODMAPs are carbohydrates. Carbohydrates are sugars or long chains of sugars. So for the purpose of this discussion, we are talking about enzymes whose purpose is to break more complex carbohydrates down to their simplest, smallest sugar building blocks (monosaccharides, for you sciency folks). Enzymes break the bonds that hold the sugars together. Sugars (monosaccharides) can then pass through, or be absorbed, from your small intestine into your bloodstream. Lactose is actually the only FODMAP that normally requires an enzyme for digestion. Lactose is "milk sugar." It is broken down to simpler, absorbable sugars by the enzyme lactase. For various reasons, some people don't produce enough lactase in their small intestines. So-called lactase insufficiency is part and parcel of the whole IBS and FODMAP story. Or maybe the contents of the small intestine are rushing through too fast for lactase to do its job. When lactose is not digested and absorbed, it remains in your digestive system and can cause GI distress. Actually, as it turns out, it is more complicated than that. Even when lactose is not poorly absorbed, it can cause GI distress for some people, even those who have "passed" a lactose breath test. Though most people who don't produce enough lactase can tolerate a few grams of lactose here and there, other people are exquisitely sensitive and can't tolerate even small amounts. During the elimination phase of the diet, in my opinion you should not make assumptions about this, even if your impression is that sometimes milk products don't bother you, and even if you have had a negative breath test for lactose malabsorption. You will learn so much more if you follow the plan and have no lactose during the elimination phase. Commercial lactose-free milk products are treated with the lactase enzyme before they are packaged. Mixing is thorough and complete before the product is packaged, and the product is rendered 100% lactose free. When you take a lactaid pill, the mixing is not as thorough and complete in your body as it is at the dairy plant! The pill may knock the grams of lactose in the product down somewhat, but it will not render it lactose-free. So enzyme supplements can't be relied on to make milk products completely lactose-free. So, during the elimination phase, use only pre-treated, lactose-free milk products, or those that are naturally lactose-free, like hard cheeses. There are many brands of lactose-free fluid milk to choose from. Check out my Pinterest for some brand name product ideas. Insufficient enzymes are not the cause of fructose malabsorption. Fructose does not need to be "digested." It is already a monosaccharide--the smallest possible sugar unit. The latest studies show than whether fructose is well or poorly absorbed, it can cause IBS symptoms. 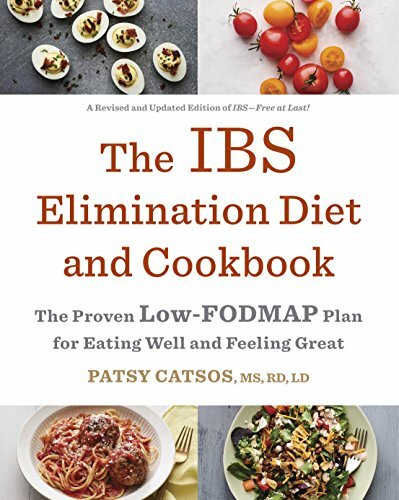 So I recommend you limit the fructose in your diet on the elimination phase of a low-FODMAP diet even if you have had a negative breath test for fructose malabsorption. There is now an enzyme supplement that can convert fructose to glucose and might be of some use later on, after you are done with the reintroduction phase of the diet. I'll discuss it in my next post. Polyols such as mannitol and fructose are not broken down by enzymes before they are absorbed. So, lack of enzymes is not a FODMAP issues, as it can be for lactose. The problem is thought to be that polyols are slowly absorbed, even under the best of circumstances. 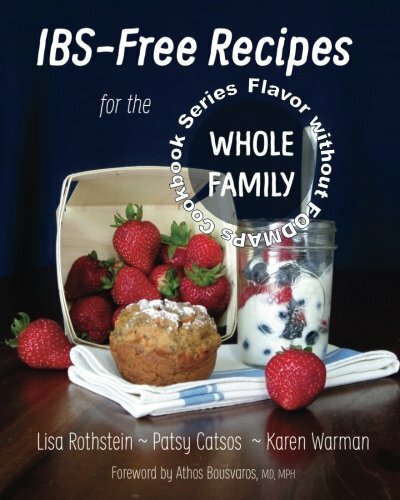 But, as with lactose and fructose, slow absorption does not explain the full effect of polyols on IBS. The latest studies show that even when polyols are well absorbed, they can cause digestive distress and symptoms of intolerance. I am not aware of any available enzymes that claim to help polyol digestion or absorption. Can you eat onions during the elimination phase of a low-FODMAP diet if you take an enzyme supplement with it? Oligosaccharides are short chains of fructose molecules. Humans don't produce enzymes to break the bonds of those chains. That is the normal state of affairs. So your potential problem tolerating oligosaccharides does not reflect any inability of your body to produce particular enzymes. There is a commercial enzyme, alpha-galactosidase, that may help people tolerate oligosaccharides. But enzymes will be a waste of money if you aren't actually intolerant to oligosaccharides, and you won't completely figure that out if you are taking enzymes during the elimination and reintroduction process. So wait on alpha-galactosidase until afterwards. Watch for my next post, which will discuss what oral enzyme supplements can be expected to do for you, and how to select them.